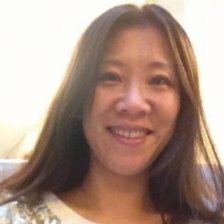 Kathy Yang is a seasoned threat defense leader with over 15 years security industry experiences cross network security, malware&vulnerability research, threat intelligence and cyber risk management areas. She currently serves the role of security architect of JD.com. Daily routine involves in initiating trending threat research to back global incident response efforts in an over 300 million customers’ e-commerce cloud platform. She passionates and pioneers in exploring and stretching artificial Intelligence’s ability and boundary to disrupt security operation industry. Before joined JD.com, she experience various technical leadership positions at Fireeye, Palo Alto networks, Aruba, Windriver, Juniper,etc. She actively participates and contributes to a broad area of technical and women leaders communities in Silicon Valley. Kathy achieves Data Science, Artificial Intelligence, Cyber Security, Business Analytics Certificates from Stanford, MIT, Harvard and Wharton business school. She holds master degree of computer science from Beijing Institute of Technology. In life, she is a bookworm, yogee, stylist and cool-fun-mom.